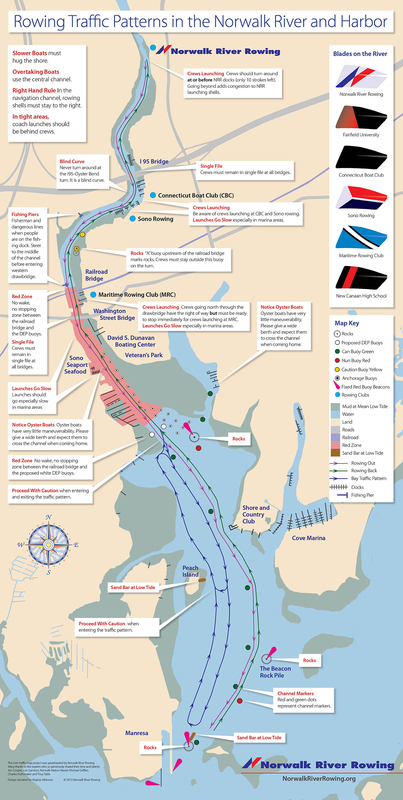 This river traffic map project was spearheaded by Norwalk River Rowing. Many thanks to the experts who so generously shared their time and talents: Jim Cooper, Lon Garrison, Norwalk Harbor Master Michael Griffen, Charles Huthmaker and Tony Tabb. Design donated by Virgina Atkinson.